One of the most important aspects of an induction heating machine is the inductor itself. A well-designed inductor provides the proper heating pattern for your part and maximizes the efficiency of the induction heating power supply, while still allowing easy insertion and removal of the part. GH-IA maintains extensive facilities for inductor design, manufacturing, and repair. Whether or not you're purchasing a GH-IA system solution, our inductor experts are ready to provide application support, design and manufacturing expertise, and prompt service for inductors of virtually any shape and size. Our experienced engineers will work with you to determine the optimal inductor design for your specific application. Our solution will be based on precise heating calculations utilizing your application data, and also on real-world testing in our Applications Lab. Field concentrators may be employed, depending on your application requirements. Nitrogen Purge Chambers, which limit scaling and oxidation during steel heat treating, are available as accessories. Once the design is finalized, we'll utilize the lastest computer-generated design technology to manufacture your inductor with high quality materials. 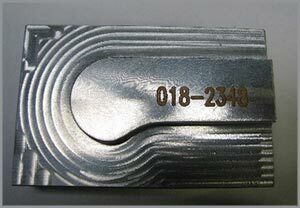 The manufacturing lead time for typical inductors is less than two weeks. Our engineers employ geometric checking and electrical testing to make sure your inductor meets all parameters and specifications. Testing using our induction power supplies is also available. 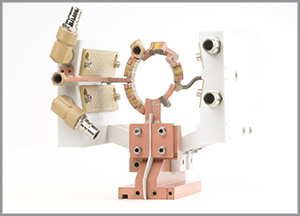 As an alternative to the traditional inductor manufacturing process, we also offer GH Group's 3DP Coil Solution; fast, highly efficent additive manufacturing by Electron Beam Melting (EBM). The coil is directly made in copper by a controlled electron beam that melts copper powder following a 3D CAD model, layer by layer. A wide range of coatings and paints are available to increase product life span and eliminate electric arcs between the part and the inductor. Dielectric coatings are available, including insulating paint, ceramic coating and nylon dipping. GH-IA offers complete inductor repair services to restore your inductor to like-new appearance and performance. Experienced repair technicians utilize special mandrells to restore your inductor's original geometry. Our reliable and repeatable repair service includes electrical and leak detection testing. Contact us today to learn how we can assist you with inductor manufacturing and repair. We manufacture and service inductors of all shapes and sizes. 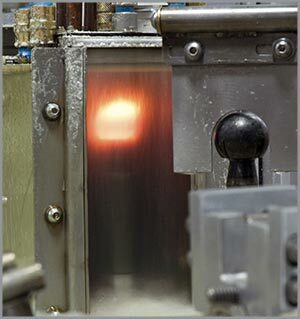 For steel heat treating, a nitrogen purge chamber improves part quality. We offer a variety of inductor coatings to extend the working life span. 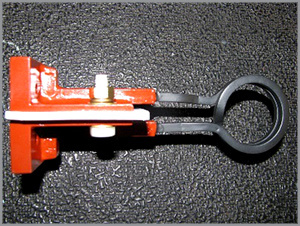 During repair, a special mandrell is used to replicate the original coil geometry.